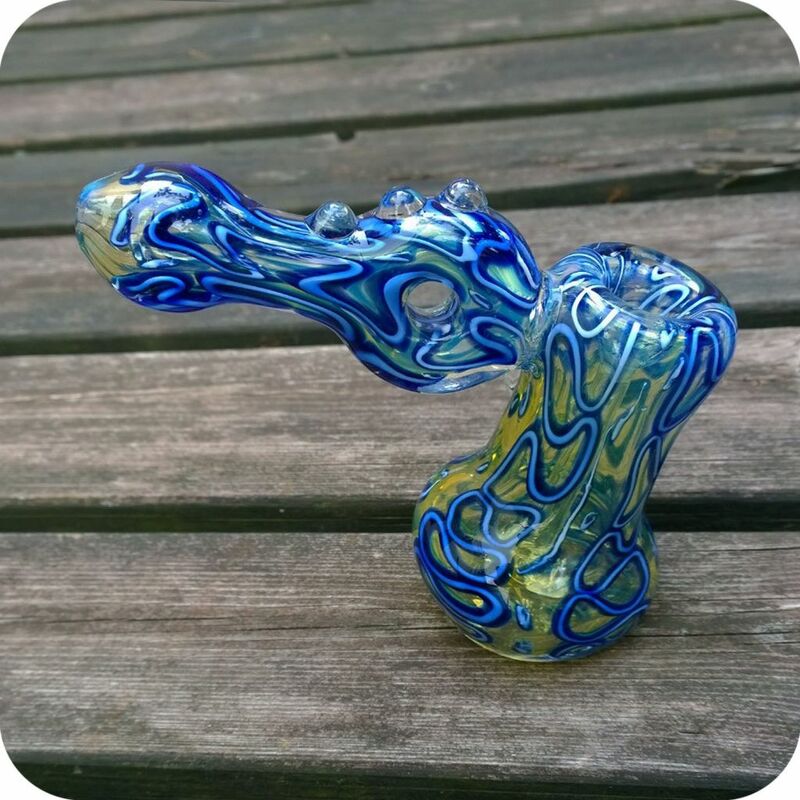 The Mini String Theory Glass Bubbler is a tiny version of our popular String Theory Bubbler. 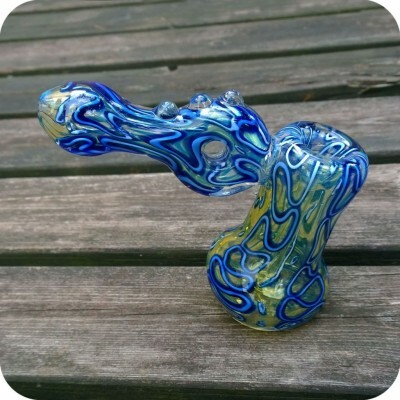 Standing at 3″ tall with its body angled slightly forward and the stem angled toward the other direction, this is perfect for any home and makes a great on-the-go water pipe. Hand blown with borosilicate glass, this attractive water pipe is silver fumed and will turn brighter shades of blue as you use it. 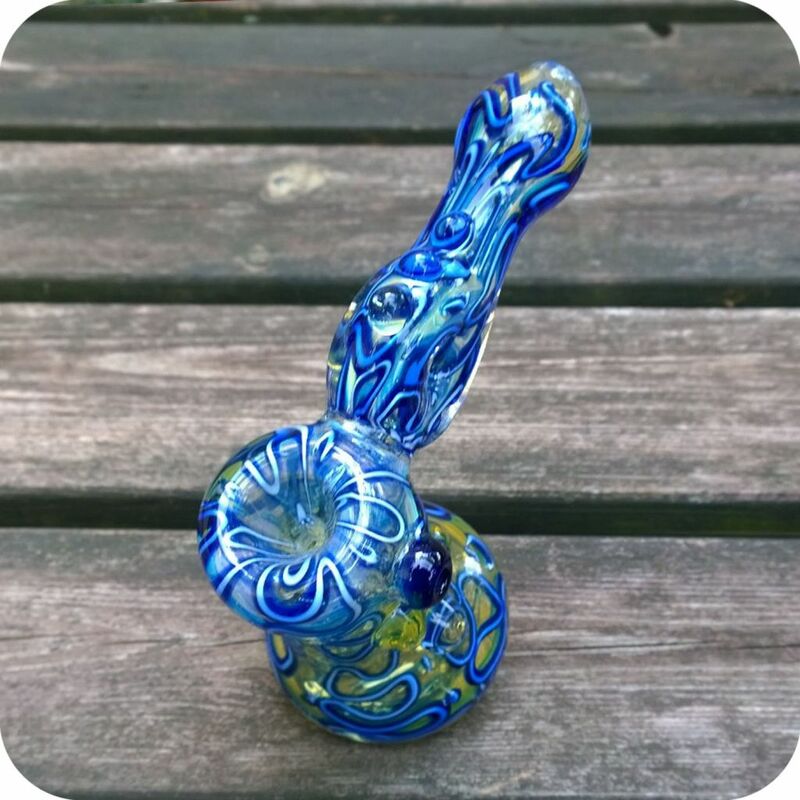 On top of the color changing background are blue and white inside out squiggle designs, and on the outside of the pipe are strategically placed blue beads on both the body and the stem. 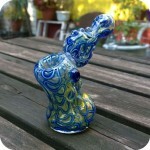 It has a blue raised carburetor on the left hand side and sits flat. It’s fun to watch the smoke go through both sides of the hole in the chamber, but you could also use this hole to wrap a hemp wick around for quick and easy lighting, or even use it as a pendant if it will make traveling easier! 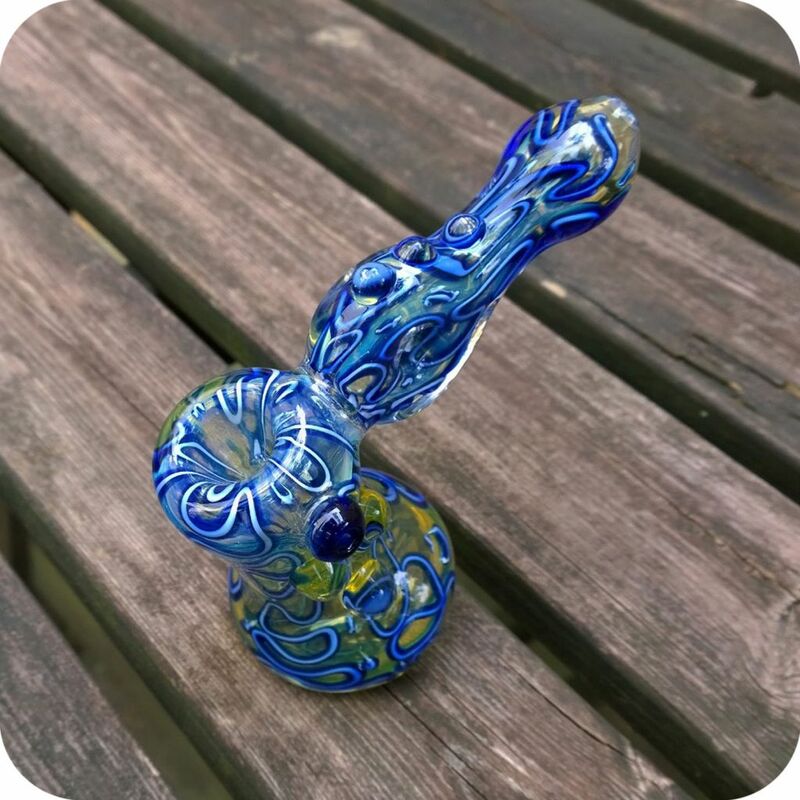 Filter your smoke through cool water for a cleaner, healthier ritual with the Mini String Theory Glass Bubbler. 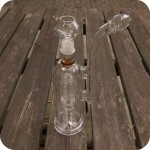 Recommended for use with a glass screen. 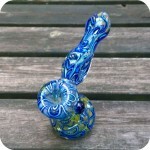 Categories: Water Pipes, Glass Bubblers. 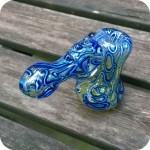 Tags: Brooklyn, brooklyn glass, brooklyn smoke shop, bubbler, bushwick, bushwick head shop, bushwick smoke shop, glass, glass bubbler, glass pipe, glass shop, glass water pipe, handheld water pipe, heady glass, mini, mini bubbler, mini water pipe, miniature, miniature water pipe, new york, new york city, new york city headshop, new york city smoke shop, pipe, pipes, small bubbler, smoke, string theory, string theory bubbler, sunflower, Sunflower Glass Co, Sunflower Glass Company, sunflower pipes, water pipe, williamsburg, williamsburg head shop, williamsburg smoke shop.